I read Anouska Hempel last week, and I have to confess that I'm having difficulty putting my thoughts into words. Designer monographs typically provide readers with an even-keeled reading experience. There are some design books in which the featured work looks more or less the same throughout the entire book, while there are other monographs- Nicky Haslam's comes to mind- whose photographs capture a range of looks and styles. However, even when a body of work is diverse or eclectic, its collective similarities are often obvious enough to make it look cohesive on paper, something which usually guarantees that reading design books will be smooth-sailing. 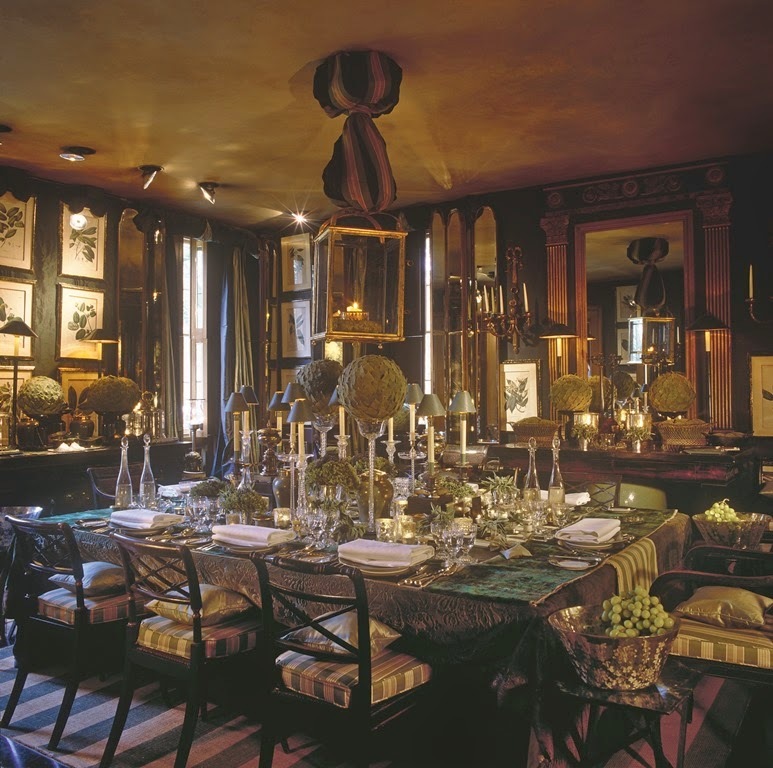 But Anouska Hempel's work- and Anouska Hempel, for that matter- is altogether different. It seems to shift course dramatically, moving from one end of the style spectrum to the other. 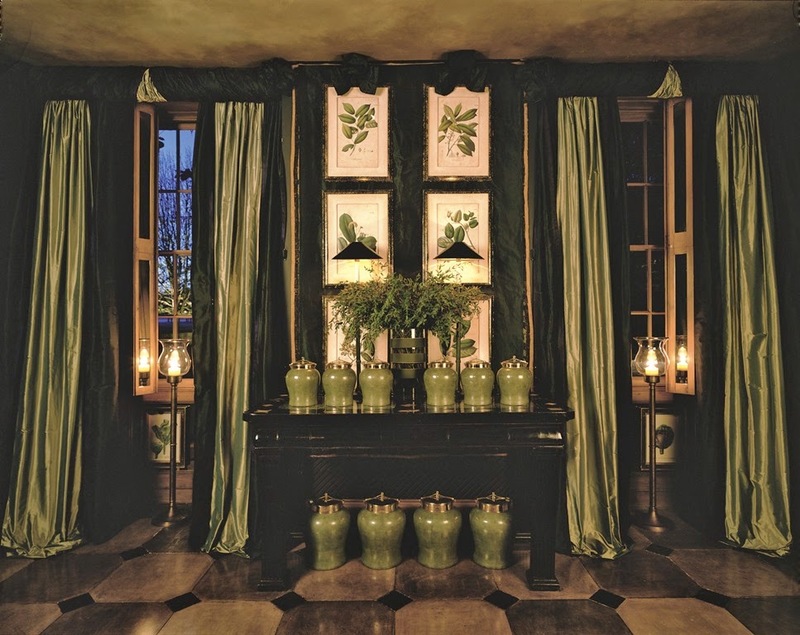 Take, for example, the designer's country house, Cole Park, which is featured prominently in her monograph. When I studied the book's photos (see below), words like "lavish" and "baroque" came to mind. I was even reminded of a perfume that I frequently wore back in the early 1990s: Guerlain's Samsara, which is a heavy, oriental-type fragrance. It must have been Cole Park's surfeit of objects and rich, deep colors that evoked this olfactory memory. And yet, in just one flick of the page, the home's opulent redolence evaporated, for there on the page was a photograph of Cole Park's attic bedroom, a palate-cleanser of a room if there ever was one. Like the rest of the house, this room has a sharply-defined look, but its non-color colors and earthy fabrics convey a mood that is altogether different from the rest of the house. Such radical shifts in style and aesthetics have the potential to exhaust and confuse the reader. But Marcus Binney, the book's author, manages to create a sense of harmony out of interiors that may seem discordant at first glance. In the book's introduction, Binney writes of those hallmarks of Hempel's work, including the use of screens ("to add an air of mystery, partially concealing, but also hinting at what lies beyond"), grouping of objects, and attention to light and reflections. 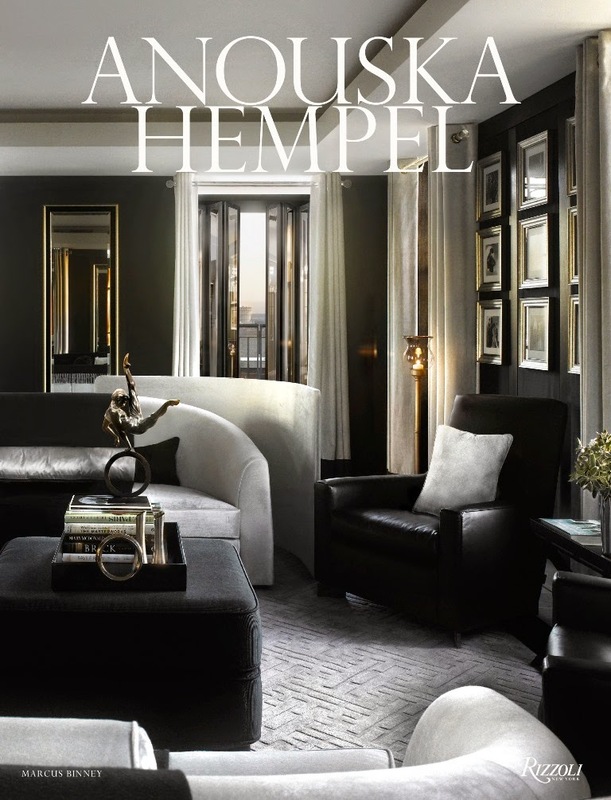 Once armed with this information, the reader will start to see that Hempel's rich, decadent interiors and her zen-like spaces are not as dramatically different as they might at first seem. 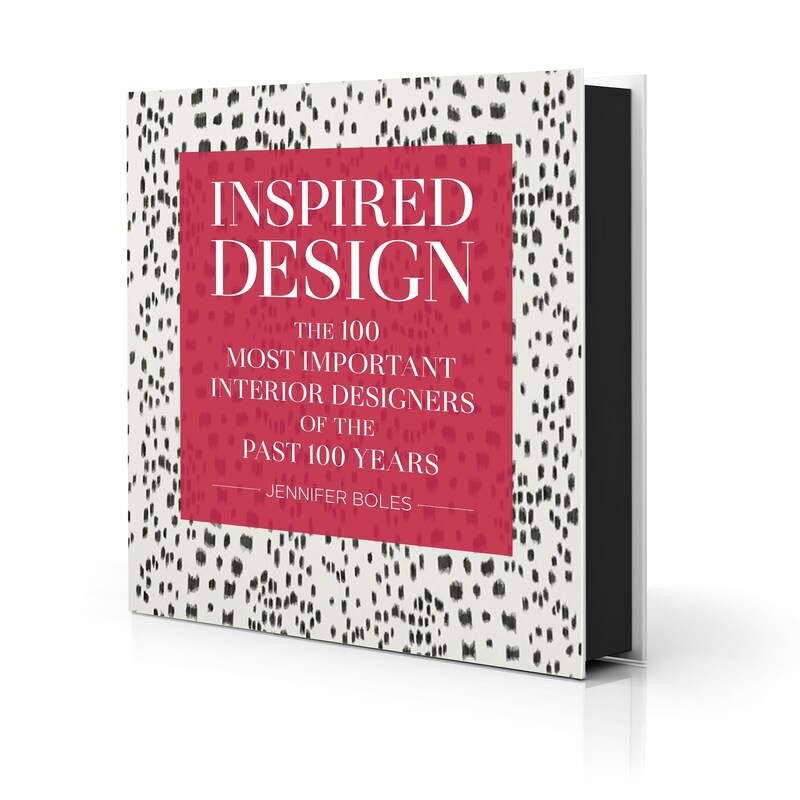 It takes a thorough reading and careful study of this book to understand why Hempel designs as she does. If you're not prepared to do both, then this book may not be for you. But, if you're up to the challenge, what you are rewarded with is a book that will likely encourage you to think differently- and more deeply- about the design process. Image credit: © Anouska Hempel by Marcus Binney, Rizzoli New York, 2015. Whether opulent or "Zen" minimalist, it's all of it utterly bogus. walls, the creepy lighting, meaningless assortment of tawdry props, exaggerated floral arrangements-- the whole place sinister enough for one of Dorian Gray's outings in the final stages of his debauchery. 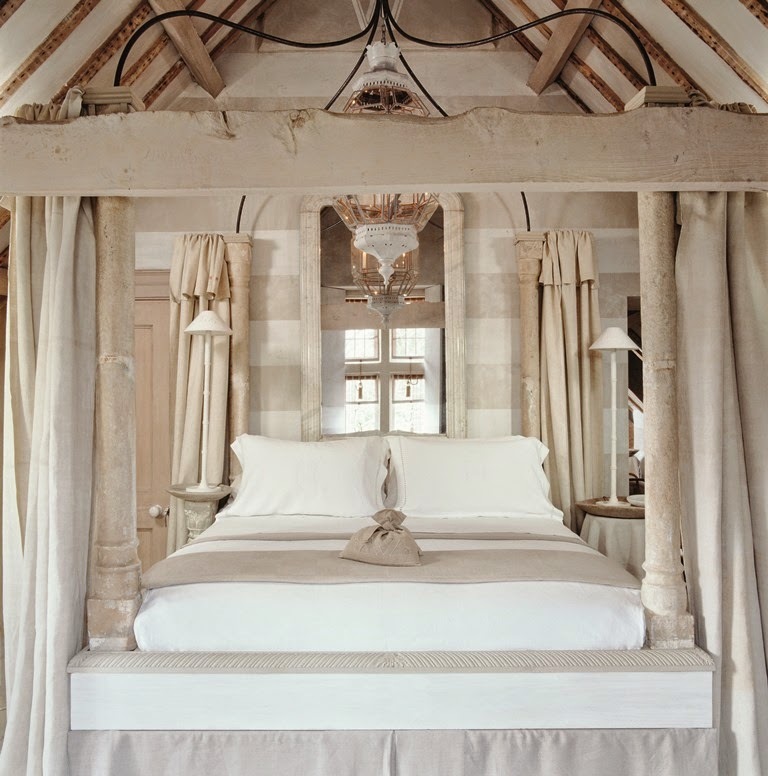 Anouska Hempel's work crowded the pages of glossy magazines during that period so perhaps I've had my fill. 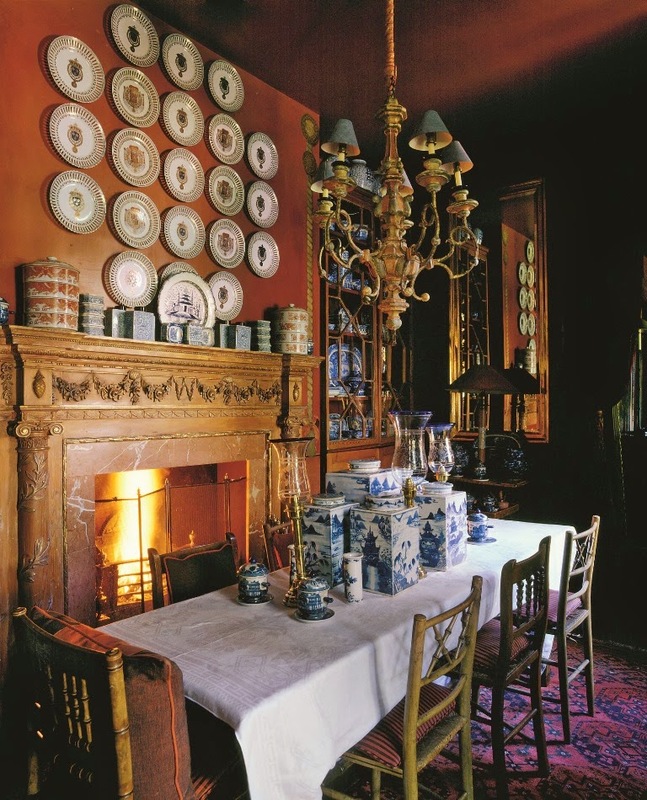 Her country house dining room is nearly a joke at this juncture, but the real mystery is how a distinguished writer like Marcus Binney (Country Life) could bring himself to wax lyrical over all those cheesy effects. Over the Top can be quite splendid in more deft hands-- look at Malplaquet House as the supreme example of pleasing excess--and there are better versions of minimalist hotel suites than that Lions Cage. Her ability to transform spaces with such a discerning vision fascinates me Jennifer. 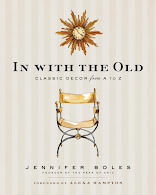 I would love Hempel's book in my library! Marcus Binney did an admirable job of writing this book, especially considering that he was tasked with creating a cohesive book out of such seemingly disparate projects. After reading Binney's text, I do believe that there is a method to the madness, so to speak, of Hempel's work. The book forced me to consider a different approach to design. I will likely not change my opinions of the subject, but the book did make me ponder it. I always think of Hempel's past in uh..."art house" films before I remember she's an interior designer. It's difficult to parse between the star of Russ Meyer's "Black Snake" (the rights of which she bought so it cannot be shown in the UK) and the Lady Weinberg. I do love that attic bedroom. I actually met her 29 years ago (SHEESH!!!) When she had a clothing design shop; and we stayed at Blake's Hotel. I bought two dresses from her which I still have! I was taking my daughter to Africa on a photograph safari; and she was very friendly and nice. She had the dress design decorated very much like Blakes's and it was like nothing I had ever seen. I bought the book; and have to take some time to study it! I do adore that attic bedroom! I wouldn't want to stay in the lion's cage!